WASHINGTON — Lawmakers on Wednesday said the uncertainty surrounding the Department of Veterans Affairs leadership is now interfering with legislative goals for veterans reforms, potentially hurting a year’s worth of progress on the issue. “The disfunction of this administration has now bled over into VA, and I am very, very, very concerned,” Sen. Jon Tester, D-Montana, ranking member of the Senate Veterans’ Affairs Committee, said during a Capitol Hill hearing. 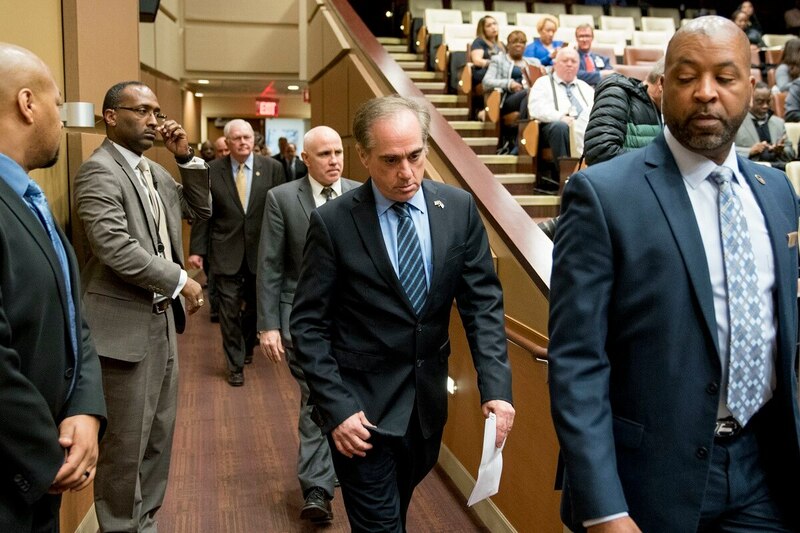 For the last month, VA Secretary David Shulkin has been entangled in a series of controversies over his leadership at the department and his standing with White House officials. An inspector general report harshly criticizing a 10-day European trip both raised questions about accountability at VA and helped make public internal agency divisions on a host of policy issues. White House officials have told veterans groups that Shulkin’s job is safe for now, but an Associated Press report Tuesday noted rumors that President Donald Trump was considering replacing Shulkin with Department of Energy Secretary Rick Perry. Both Perry and Fox News personality Pete Hegseth — another name rumored as a replacement — were considered for the job before Shulkin’s nomination in January 2017. He called the administration drama an unfortunate distraction to “critically important work” before Congress. Last year, Congress passed nine significant pieces of veterans-themed legislation, including new accountability rules for department employees and an overhaul of how veterans’ benefits appeals cases are handled. Shulkin was involved in most of that work, and frequently hailed publicly by Trump for the progress. The biggest veterans issue before lawmakers now — and one of the behind-the-scenes fights within the administration — pertains to the overhaul of numerous VA community care programs into a single, more flexible, easier-to-use system allowing some veterans to see private sector doctors for a variety of ailments and injuries. Both the House and Senate have multi-billion-dollar plans under consideration that would ease eligibility rules for the outside care but still keep a critical management role in place for VA administrators. Conservative groups and some political appointees within the White House have complained the idea doesn’t live up to Trump’s past promises of full “choice” for veterans, and have pushed for even more freedom for medical appointments outside the existing VA system. But a bipartisan coalition on Capitol Hill is pushing for the existing plan to move ahead, with the possibility of it being attached to the upcoming budget omnibus or other critical pending legislation. Both Senate Veterans’ Affairs Committee Chairman Johnny Isakson, R-Geogia, and House Veterans’ Affairs Committee Chairman Phil Roe, R-Tennessee, said they are open to the idea, and negotiations are ongoing. Those negotiations had been focused on the nuances of the legislation in recent months, with debate over issues like how many private-sector medical appointments veterans could have paid for before additional authorizations were needed from VA managers. Now, the conversation has mostly centered on whether the White House may make sudden changes at VA which could affect how the new legislation is implemented if it’s signed into law. Tester said he is uncomfortable negotiating with the White House on the massive overhaul if it’s not clear who is in charge at VA.
Shulkin in recent weeks has complained publicly that some officials within his department — including some of his own communications staff — have worked to oust him from his Cabinet post. But during the last few weeks of controversy, the only individual forced out of the department was Shulkin’s former chief of staff, who retired abruptly three days after the inspector general’s report. Most lawmakers have been publicly supportive of Shulkin’s performance at VA, but Rep. Mike Coffman, R-Colorado, has called for his resignation. I really hope that @POTUS @realDonaldTrump finally fires @DeptVetAffairs Secretary @SecShulkin as he will never clean up the incompetence and corruption at the VA. As the only Member who has made this call, our VETS deserve better!! #FireShulkin now. Meanwhile, veterans groups are worried that uncertainty surrounding Shulkin’s job will derail a host of VA improvement efforts. Celli said his organization is imploring lawmakers to push ahead with the community care overhaul and other important priorities, given that White House officials have given no clear public indication that Shulkin’s job is imperiled. Shulkin, who fielded media questions about his job security during a press conference last week, will likely face similar questions during a series of upcoming appearances before lawmakers in the next week. 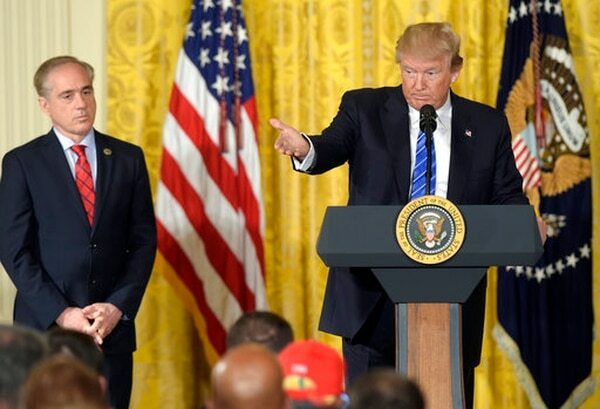 The VA secretary is scheduled to speak on Trump’s fiscal 2019 budget plan before the House Appropriations Committee on Thursday morning and the Senate Veterans’ Affairs Committee on March 21.